Nestled in one of DC’s most affluent and historic neighborhoods, The Graham Georgetown, Tapestry Collection by Hilton is perfectly situated in the center of Georgetown - a location that predates the District of Columbia itself. Named after the inventor of the telephone, Alexander Graham Bell, this charming hotel is inspired by the inventor’s mix of innovation and poise. Housed in what was once the Hotel Monticello, The Graham opened in 2013. It matches Georgetown’s cobblestone streets perfectly with its Victorian architecture and residential feel. The façade evokes a sense of history and tradition. The Graham Rooftop is a 3,500 sq. ft. open air lounge that offers grand views of sunset, the Potomac River, the Georgetown neighborhood, and the National Mall monuments. The Alex is an intimate full-service restaurant and Speakeasy that hosts live music performances. The 57-room hotel features a 24-hour fitness center, complimentary WiFi, a business center, and a multilingual staff for the convenience of all visitors. 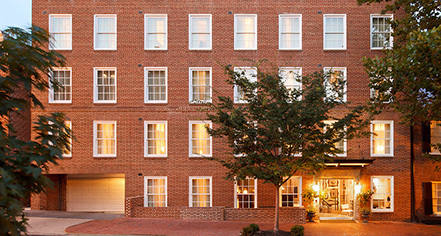 Ideal for those visiting local District of Columbia universities, The Graham is close to both Georgetown University and George Washington University. Notable attractions nearby include Embassy Row, the Washington Harbor, and famous Georgetown Cupcakes. World-class shopping completes any trip to this historic area. Its proximity to Downtown DC offers access to landmarks, artifacts, and locations known worldwide, but is far away enough to provide guests with a small town feel and all the comforts of home. The Graham Georgetown is the premier place to stay for those seeking sophisticated comfort, spectacular views, and a short trip to exhilarating local attractions. The Graham Georgetown, Tapestry Collection by Hilton, a member of Historic Hotels of America since 2018, dates back to 1962. Frank Sinatra was once a hotel regular when it was the Hotel Monticello. Accessible Rooms: Accessible rooms are available. Please notify request at time of booking. Special requests are not guaranteed. Adjoining Rooms: Adjoining rooms are available. Please notify request at time of booking. Special requests are not guaranteed. Cancellation Policy: Cancellation policies vary according to room type. Cribs and Pack-in-Plays: Cribs are not available. Early Check-In/Late Check-Out: Special requests are subject to availability and may incur additional charges. Special requests are not guaranteed. Extra Person Fees: Each additional adult is $25 per person per night. Parking: On-site valet private parking is available for $48 per day. Payment: All major credit cards are accepted. Prepayment policies vary according to room type. Pet Policy: This hotel is pet friendly. Rollaways: Extra beds are not available. Smoking Policy: This is a 100% non-smoking property. Nestled in one of DC’s most affluent and historic neighborhoods, The Graham Georgetown, Tapestry Collection by Hilton is perfectly situated in the center of Georgetown - a location that predates the District of Columbia itself. 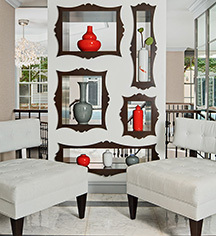 Learn more about the History of The Graham Georgetown, Tapestry Collection by Hilton .